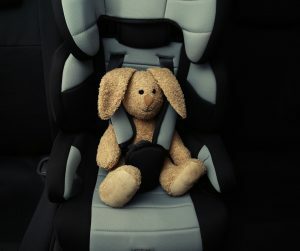 Driving long-distance with children – no-matter what their ages – can make for a horribly stressful start or end to your holiday. So with the half-term break upon us, we’ve compiled some useful, insightful and at times hilarious tips from parents who’ve gone the distance with kids in the back seat. The overriding motto: plan ahead, leave plenty of time and if it all goes wrong – hopefully the holiday destination will make it all worthwhile! Check its whereabouts often and don’t allow it to get left behind! It is easier to over-pack than you may think says Al from Sheffield. If in doubt – leave it out! How often to you return from a holiday with clothes you haven’t worn the entire time? Don’t break the law! 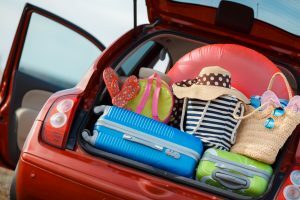 Most people are aware of weight limits for luggage on flights but did you know that cars have official weight limits? You could get a fine if you are caught breaching it. Check your handbook to find yours. If you are packing lots of kit – perhaps for a skiing, biking or surfing holiday, you may need a roof rack. “Have all your nappy changing kit handy in the car and don’t underestimate how many nappies you may need! Older children may be potty trained but they will struggle to “hold it in” when they have to urge to go! No child is allowed to leave the house or the service station without going to the loo! Nick from Swansea spends weeks in advance planning the playlist including music, games and movies. Did you know you can actually purchase WiFi for the car? Depending on the length of the journey, it may well be worth it!